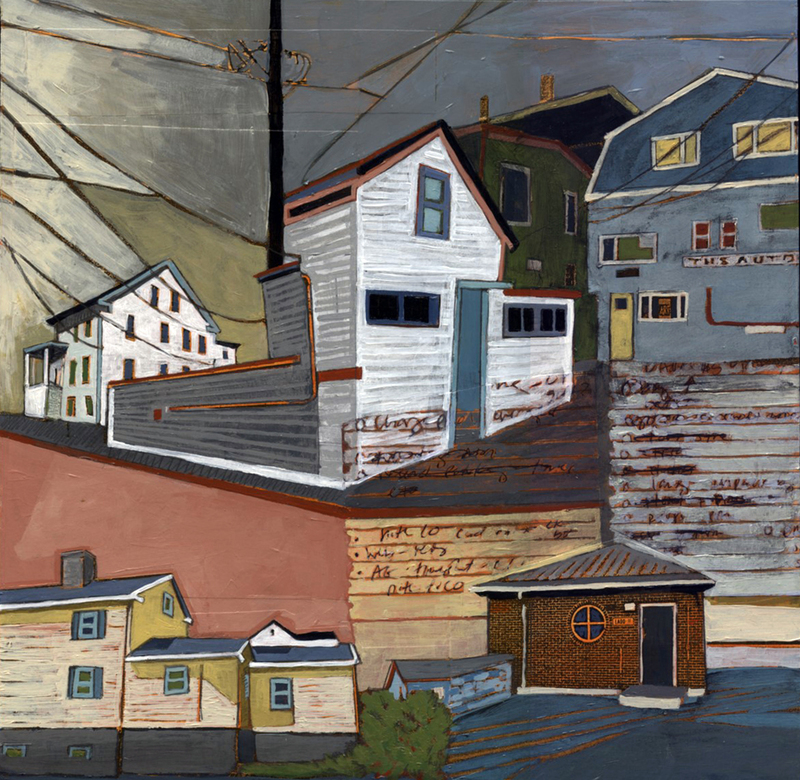 Agawam and Exeter, acrylic and graphite over collage on panel, 24" x 18"
Stacey Durand studied printmaking and art education at Montserrat College of Art. She received her BFA in printmaking in 2002 and completed the art education program in the winter of 2003. 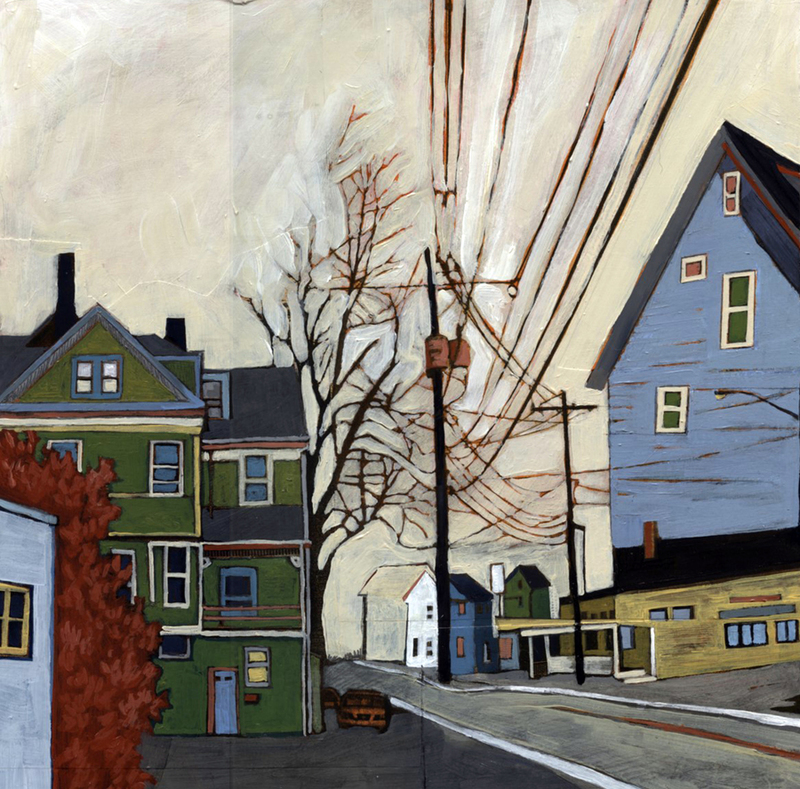 In 2008 she received her Masters of Art in Teaching Art from Salem State College. After living on the North Shore for nearly ten years, Stacey returned home to New Hampshire, settling in the Seacoast area where she currently lives and works. 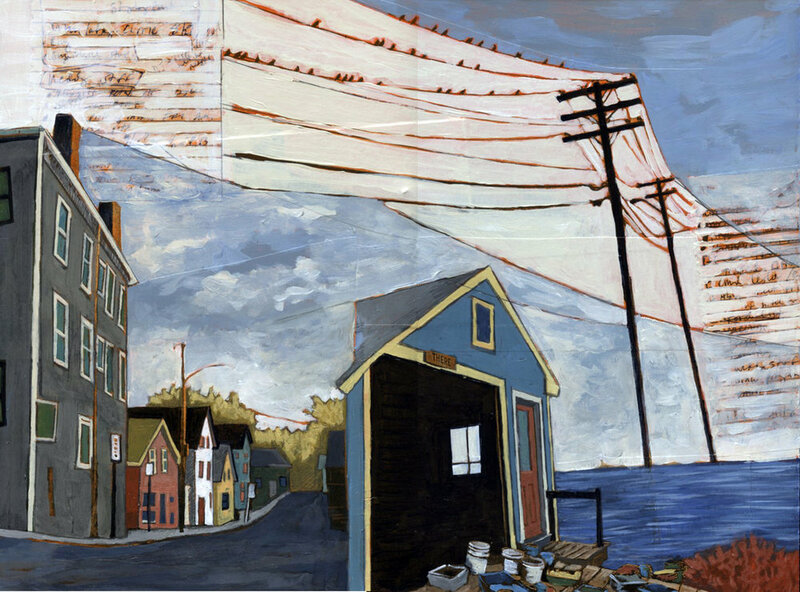 Stacey has shown her paintings and collages in a number of galleries throughout New England and her work is in private collections throughout the country. 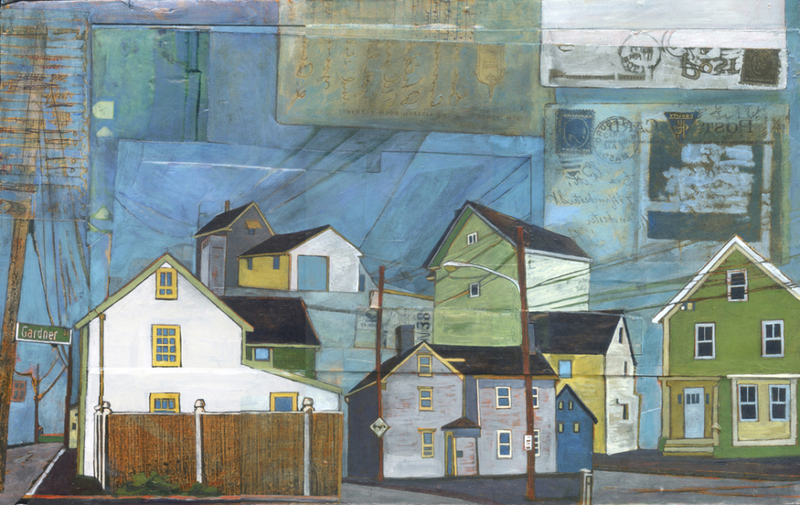 My work has been very much influenced by the places I have lived and the communities I have called home. I am a New Hampshire native, but for nearly ten years I lived in Beverly, Massachusetts. While there I spent many days walking around town and exploring this seacoast community. 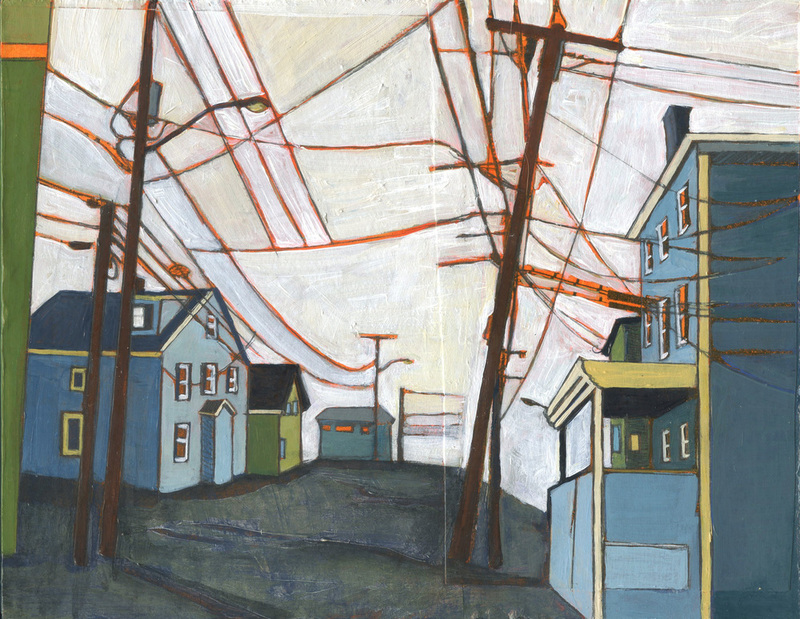 I started to fall in love with the way the buildings in this area relate to each other; the houses on some streets are packed together tightly, the power lines cross the sky and zigzag over the streets to connect the buildings, the tilted telephone poles lean into the warped houses. During the ten years I resided in Beverly, I lived in nine different apartments. 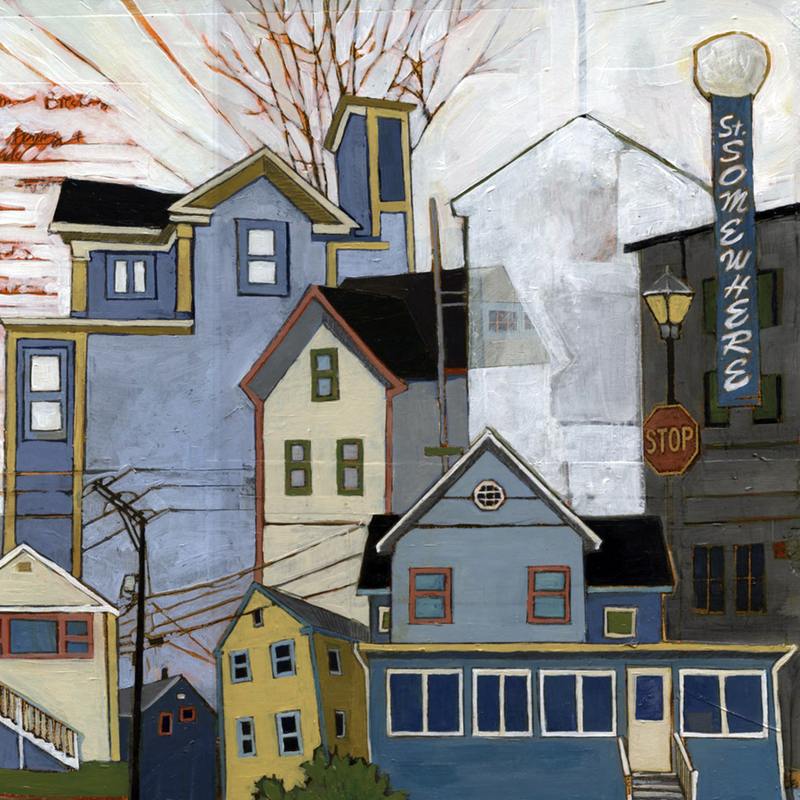 Each of those homes brought me into a new area where every day I was able to witness the tight communities, and quirkiness of each neighborhood first-hand. It was during this time that I started to become interested in these environments and started to use them as the subject of my work. 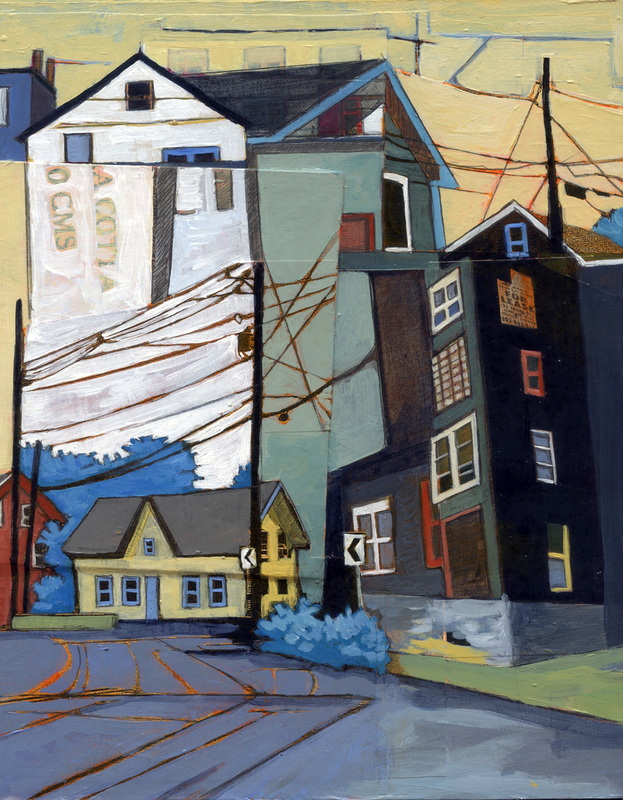 I have since returned to New Hampshire and have continued to seek out these tightly packed seacoast neighborhoods. Taking photographs and collecting images of my environment is the start of my art-making process as well as the foundation and inspiration of my work. I explore the streets looking for interesting compositions and try to find overly exaggerated examples of the types of buildings and neighborhoods that I find compelling. I then layer and overlap images I have taken to find connections between the buildings that do not exist in the real world. These newly created collaged landscapes become slightly abstracted compositions. 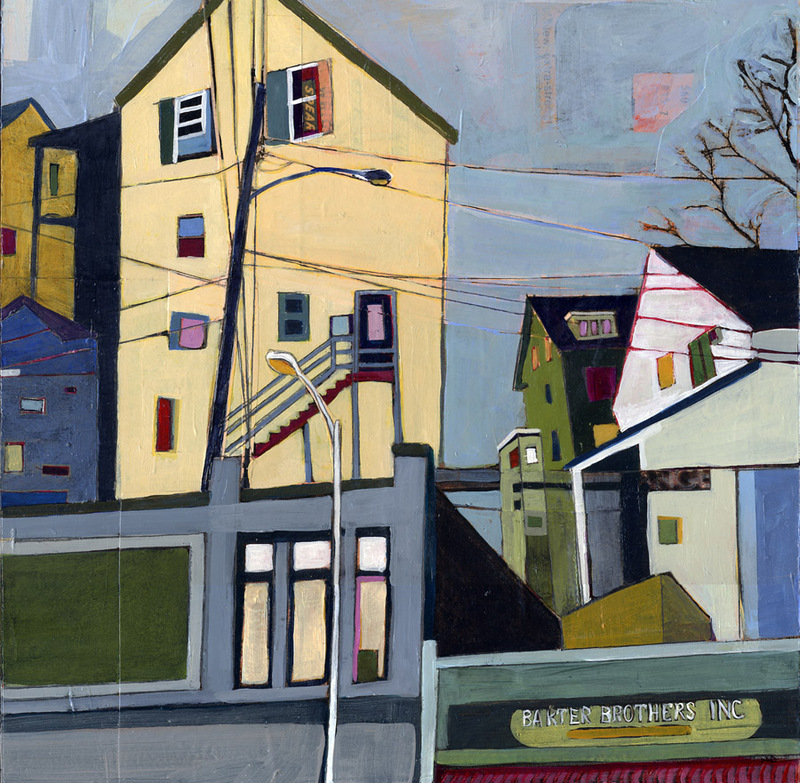 Within this process of removing buildings and neighborhoods from their original context and combining them with different environments, I create new connections, relationships, and ultimately new communities. I continue my process by painting into these collages on masonite panels that are mounted onto wooden frames. I then enhance and alter these collages through many layers of acrylic paint, image transfers, and graphite. I continue to wrap the image from the front of my paintings onto the sides of the piece giving the impression that the landscape extends beyond what is created on the front surface of the painting. By using this technique, I want my paintings to be viewed much more like an object rather than a traditional painting hung on the wall, enabling the viewer to interpret my newly created communities with some familiarity and personal connection to their own community. Throughout my process, I have grown as a painter, most recently by experimenting with color and painting techniques while developing tighter compositions in my work. Although my subject matter and themes remain the same, I have introduced different collage elements, added additional layers with materials such as matte board to create more depth, and experimented with new techniques such as incorporating some printmaking processes into my work. 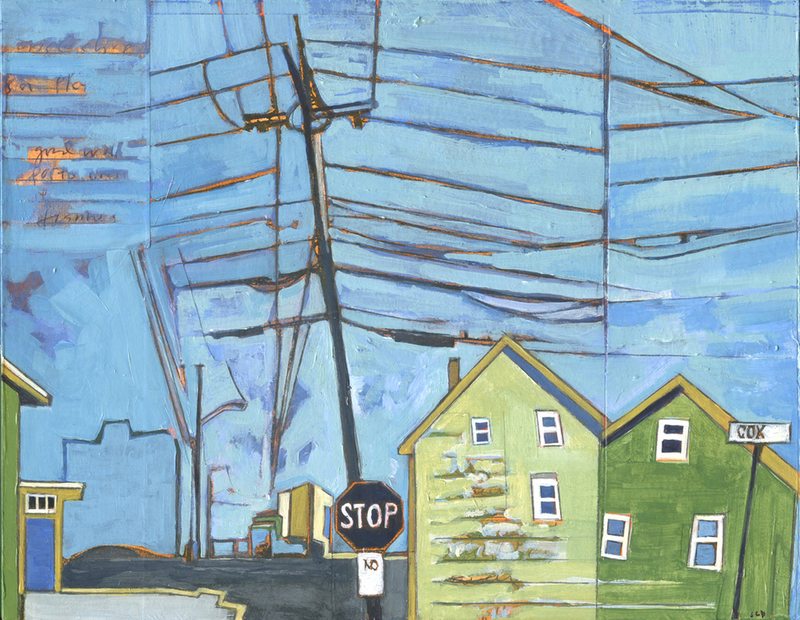 I am excited and passionate to keep exploring New England seacoast neighborhoods to create new paintings that strive to form new relationships and connections between the buildings, their environments, and the communities they create.